At Fitnessworks we have membership options to suit everybody. Fitnessworks provides its members with the option to pay fortnightly or at your convenience. Seniors, Students & health card holders discounts available. Should you wish to cancel your Direct Debit 2 weeks notice is required. If you wish to cancel requests should be sent to membership@fitnessworksnt.com.au. 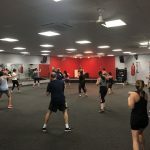 If none of these membership types suit your personal requirements, come in and see the Manager or call us on 8948 1061 (Fitnessworks Nightcliff).